There has been a lot of talk on flexible screens and some analysts believe the Galaxy S4 and the Note 3 will both have this new screen technology. We bet against Samsung readying up the flexible screens that early, but they will be showing the new technology off at CES, this January. Samsung Display, a team working on all different types of displays for Samsung, will preview two different flexible screen designs, one that may be on a smartphone and one for a 55″ TV. The smartphone screen will be 5.5″ and comes with 1,280×720-pixel HD resolution with 257ppi display. Not exactly marvellous on the pixel terms but the screen is just a prototype. We are unsure about the numbers for the TV, once again we suspect they will be pretty low compared to what is on the market right now, as Samsung is just previewing the model. Of course, pixels per inch and resolution won’t be the features that Samsung will be showing off. 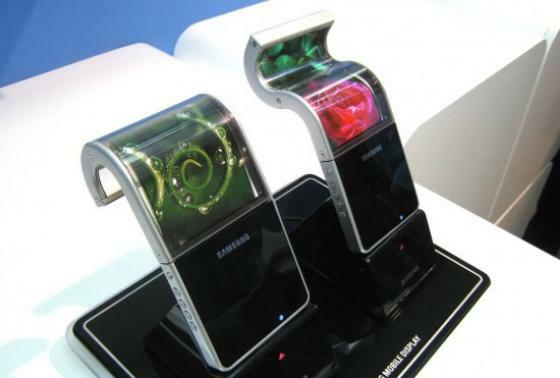 The flexible screens will show us a glimpse of the future of smartphones and TV’s, in Samsung’s eyes. While the screens are flexible, Samsung have said they cannot be rolled up. It may take some time before you can call someone, and once finished roll your phone into your pocket. Samsung have put down the idea that any smartphone will be released at CES or any other events around that time. The Galaxy S4 is rumoured to be coming out sometime this spring or summer. We are unsure about the Galaxy Note 3, as not as many rumours have been floating about. Whether we see Samsung actually add the flexible screens to the Galaxy S4 remains to be seen, we suspect Samsung Display will want to get all design ideas out and checked before they add it to the flagship device.